Back from Christmas break. Yeah, I know, it's pretty much the end of January. 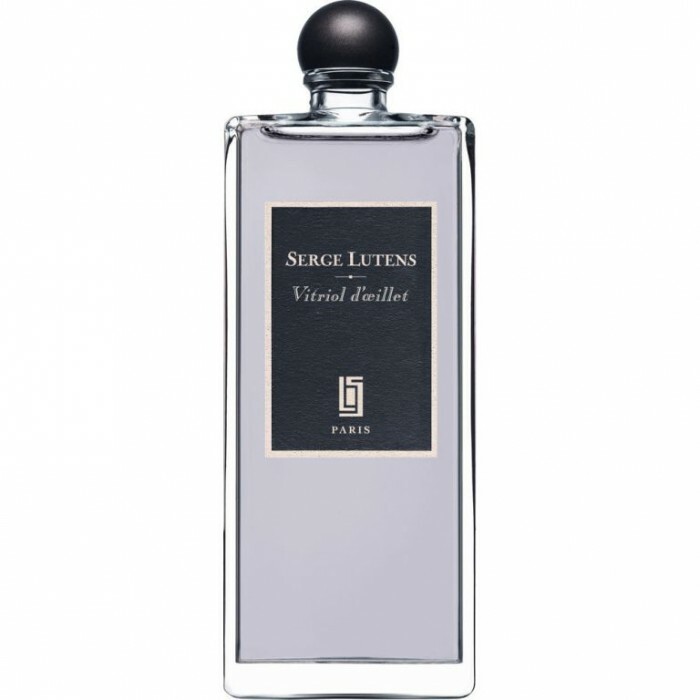 I didn't go anywhere, but it's a long story, and I'm back to finish off the last three Serge Lutens samples that I have, which entirely by coincidence are florals, sort of. Some people, myself included, may have been wondering why I was even bothering to review samples that were possibly compromised by imperfect packaging, and the main reason is that I owned them and I wasn't going to just throw them out, I was definitely going to wear them, and I figured I might as well write about them. Maybe you just buy new things off the shelf, but perhaps one day you'll stumble across a twenty- or fifty-year-old bottle of something vintage, and it isn't going to smell as it would the day it was bottled. Not every scent you smell is going to be from a fresh bottle, and so I think it's valid to look at fragrances that have taken a few punches. Rose de Nuit is, as advertised, a rose scent, starting out bright and crisp, almost brittle, with a tinge of that stewed fruit without which it would hardly be a Lutens, and gradually turning dark and crepuscular while never actually becoming to my nose particularly appealing: it's just about the polar opposite of Lutens' high-flying, voluminous Sa Majesté la Rose, which is one of at least a dozen rose scents I like better than Rose de Nuit. 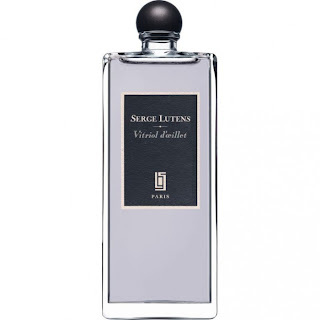 I smelled Vitriol d'Oeillet when I first got that big batch of Lutens samples over a year ago, and it may have evaporated a bit but it's still the same scent, which is to say a disappointment. It's attractive, mind you, but despite a name redolent of vengefulness and cruelty, it is a very tame thing. It's nice: a polite, friendly carnation, placid and drifty, no vitriol to it at all. If you want a carnation with some blood in its teeth, you need to try Comme des Garçons Carnation, which is all pinpricks and venom. A fresh bottle of Encens et Lavande might smell of more than just its namesakes, incense and lavender: but it probably would not smell better than my little sample, which starts with a bright-green lavender with that desirable soapy-barbershop facet and gradually transitions to a pale, smoky incense, not absolutely unlike Lutens' Gris Clair, but this one is a much fresher, greener lavender. Lavender may be a flower, but by itself it doesn't have what one would call a floral character: it's usually very dry and herbal, which is why it's a featured player in so many men's scents. Accordingly, I think a lot of women would find Encens et Lavande to veer masculine, but I think most everybody else would find it austere and efficient, just the ticket for those overcast, moody days when there's work to be done.